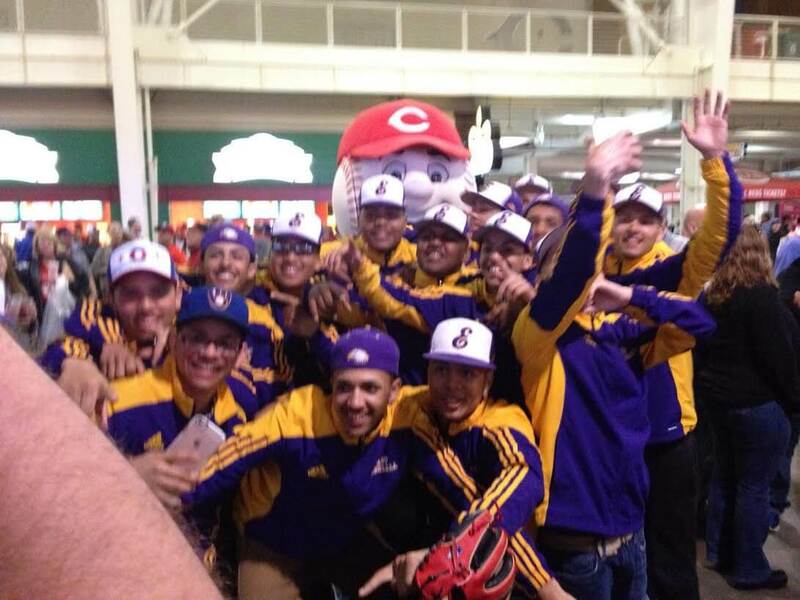 The team with the Cincinnati Reds mascot after the Reds game on Friday night. They were excited when they got on the jumbotron representing East at a few different points during the MLB game. 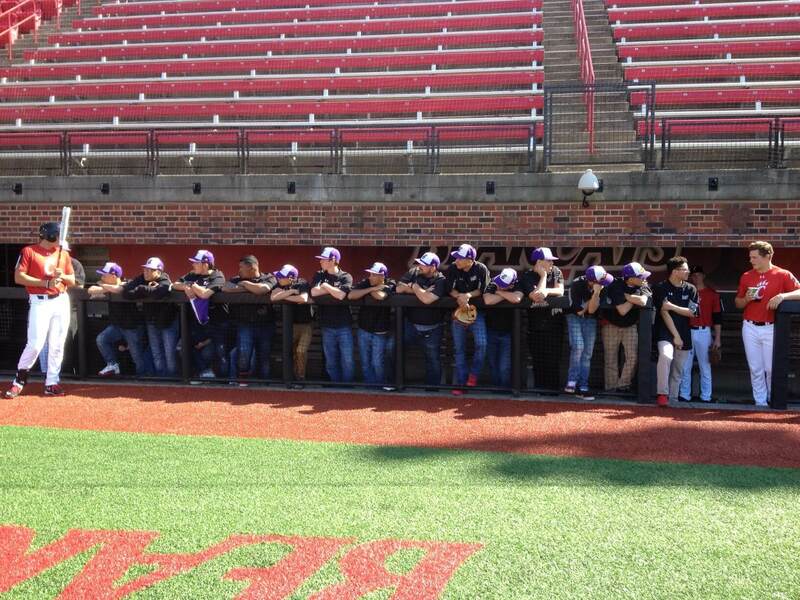 In East baseball takes the show on the road. Destination Pittsburgh, we reported on the team’s trip to Pennsylvania in 2013. This year, the Eagles trekked to Ohio. 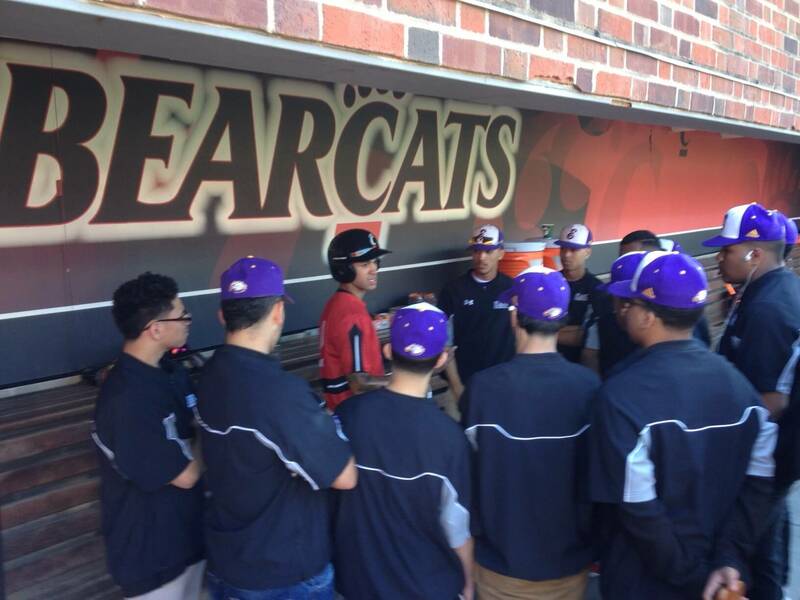 Over the weekend the Varsity Baseball team traveled to Cincinnati for its annual out-of-town trip. This has always been a life-changing experience for our players. Once again they represented East with tremendous class and dignity over the entire weekend. 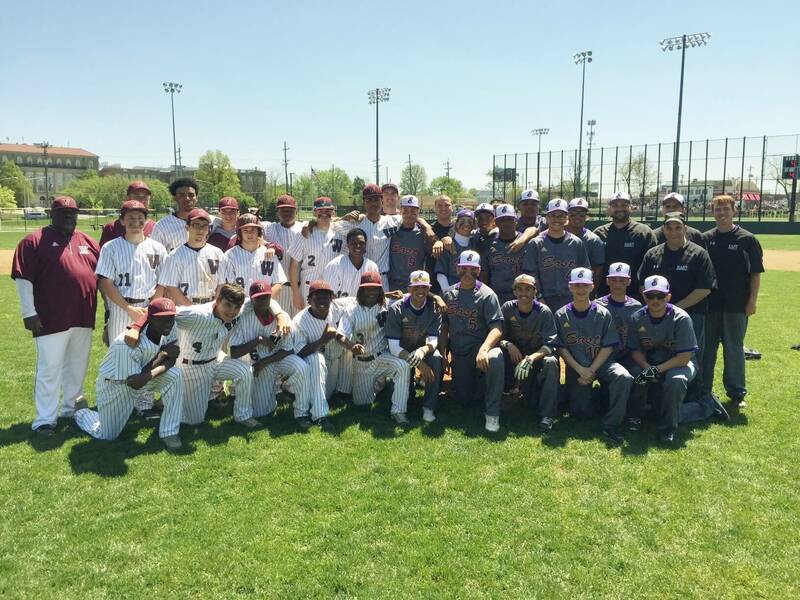 Combined team picture with the Western Hills team. Western Hills is Cincinnati’s best City baseball program. Pete Rose is their most famous baseball alumnus. We defeated them 9-4. They were great hosts and respected our team so much that they wanted a combined team photo when the game was over. Thanks for your support of our student-athletes. I am very proud of how they conducted themselves on and off the field this weekend. Go East!!! "Don't go soft, play hardball!" The Rochester Men's Adult Baseball League needs a few good men.